If there’s one thing that a lot of businesses love to complain about, it’s Yelp! The primary business model of Yelp is to serve as online directory or resource allowing customers to select businesses to use based on reviews. Essentially, Yelp is an online version of the yellow pages, with a ton of feature upgrades. The primary feature upgrade Yelp offers is when customers who have frequented a business log onto the site and leave reviews pertaining to their experience with that business. The idea is to keep other customers informed about whether they should engage with a business. However, there are plenty of cases where negative reviews on the site have cost businesses significantly. Additionally, Yelp can serve as an effective marketing tool for businesses that are looking for visibility. Yelp primarily makes their revenue by selling advertising space and features listings to businesses. Naturally, there are plenty of businesses that have a love-hate relationship with the online review platform. But, it doesn’t have to be that way. And with Yelp reporting 26 million unique visitors using their app each month and 73 million users using their mobile web site (as of Q1, 2017), any business selling to consumers should never ignore the site. If businesses really understood how they can leverage this amazing tool, they can drastically boost their bottom line by establishing trust among their customers. Research published by the Harvard Business School found that each 1-star improvement in a restaurants Yelp rating translated to a 5-9% in revenues, with locally owned or non-chain firms seeing the greatest boosts. So, if you’re one of those businesses still trying to figure out Yelp, this guide might come in handy. The Yelp filter is one of the first features that businesses love to whine about. What the filter does is that it clears out reviews that are deemed irrelevant (often if they are older than a few days). What happens is that these reviews are transferred to a section titled “not currently recommended”. While these reviews can still be found, it becomes more difficult to do so. Additionally, the filtered reviews do not impact the overall Yelp score. Businesses are not always fond of it because, every now and then, good reviews tend to go missing. Of course, the same thing happens with the bad reviews. But no one is going to complain about that. Now, the good news is that filter doesn’t block the old reviews completely. Businesses can still make the good ones visible again. Here’s what you need to understand – each Yelp review is evaluated (by a software) on the basis of reliability, quality, and user activity. What you need to focus on here is “user activity”. Most of the positive reviews on Yelp come from regular or active users. But, the ones that are not as active have their reviews sent to the “not recommended” section. So, what businesses need to do is identify those users and inform them about the status of their review. Apart for that, you can add them as your friend and mark their reviews as helpful. If you can manage to do this for about 20% of your filtered positive reviews, you will see better than expected results. To boost the number of reviews you get on Yelp, you will need to engage in a few activities. First, make sure you claim your business page. This will allow you more freedom in controlling the information on the page. For starters, you could post what are known as Yelp deals. This is an effective way to get customers interested in your products/services. Unlike Living Social or Groupon, the people on Yelp are active users, which means, they will respond to your deal and maybe, even post a review. Another thing to do is improve the way your profile looks. Make sure all the contact information, address, hours of operation, and any other additional info you control on your Yelp profile is completed and fully accurate. It is important the formatting of stuff like your address is the same on all the various review sites (yelp, google, facebook, tripadvisor, etc). Post more pictures and images of your business. This could include images of satisfied customers, your product, staff, and anything else that is positive. This can help you draw attention away from those negative reviews. Make sure you respond to as many reviews as you can, especially ones that ask questions. Customers like to be acknowledged and showing them that you care enough about them to reply to their reviews goes a long way in establishing trust. It shows that you’re actually paying attention to what customers have to say. This is an area that can get confusing for businesses because of Yelp’s position on asking customers for reviews. While there is some gray area in the policy that some business will cleverly leverage. Asking for reviews is not against their official terms of service, and Yelp encourages businesses to let their customers know to “Find us on Yelp.” There are a few things you should NEVER do. Do not pay or offer incentives to customers for good reviews. Additionally, I suggest that you avoid the practice of only asking for reviews from customers who are pleased. I typically suggest that as long as you are asking all your customers for feedback (not just the happy ones), and you are not specifically dictating to your customer to leave their review on Yelp (give them options of where to leave a review), you are on the safe side. Ultimately, feel free to ask for reviews, just don’t be obnoxious about how you do it. To make the practice even easier, you can use a software solution to make the process of generating reviews on sites such as Yelp incredibly easy. For example, using ReviewUsher, all that a business owner must do to build their online reviews and reputation is enter a customers email or cell phone into the system. ReviewUsher automatically reaches out to the customer take the pulse of their satisfaction level. If the customer indicates that they are unhappy, the customer is directed to a web form where they are able to privately detail their complaints to the business owner. However, happy customers are directed to Yelp and whatever other review sites you feel are important for your business to post a review. CONCULSION. A strong Yelp profile can help send your business sky high. While it is not rocket science to achieve this, it does take sustained effort. So go get started! Claim your business listing, update your business info, begin collecting reviews, and reply to the reviews you get. Then wait and watch as your business picks up and your revenue increases. To stay on top of Yelp, a business needs to regularly obtain new reviews. For this reason, many firms opt to partner with a third party software solution such as ReviewUsher to assist. A good system will help increase the quantity and quality of your reviews, aggregate the reviews into a single stream for easy display for your potential customers and monitoring, and help you obtain critical feedback about service failures so you can make necessary improvements. To learn how ReviewUsher help you achieve all of this check out how the system works. Responding to consumer reviews is a standard part of running a business. However, some businesses are only half-prepared when it comes to handling customer reviews. When we say “half-prepared”, we mean that the focus is only on responding to poor or negative reviews. It is understandable that businesses ensure that their reputation doesn’t go down the drain, and thus focus on responding to negative reviews. However, it’s also not a healthy practice to ignore the positive reviews or treat them with less priority. Some businesses assume that a simple “thank you” or “pleasure doing business with you” is enough. The truth is that even your satisfied customers would like to hear more from you. Not only that, but the sites where positive reviews are left also like to see replies to reviews. In fact, I was recently advised by rep that Google views periodic replies to positive reviews as a sign that the Google My Business page is actively managed. This activity can help the business with the reward of improved exposure for the listing. So, here are 8 easy tips on how to respond to positive reviews. And don’t worry if you do not implement all of them. Just get started doing what you can, and continue moving forward. Now, as we implied earlier, this is the most basic thing you need to do. Saying “thank you” shows that your business appreciates the customer’s efforts. After all, your customer took time from their busy day to actually type in a few words appreciating what you did for them. The least you can do is respond to their appreciation in return. When responding to positive online reviews, make sure you use your company name and a few other relevant keywords. Feel free to mention that product or service purchased, but do not go overboard on this step. 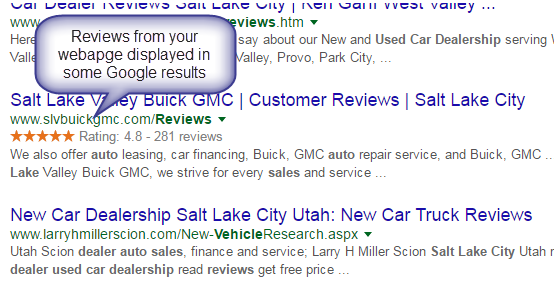 This will help your reviews show up on search results. That way, you can highlight how your services and products are appreciated by many customers and boost your brand value and online reputation. This ties to tip #2. While it may be tempting to “sell” in your reply, avoid it. The goal is not to sell a specific product or advertise your great pricing. The goal is to demonstrate that you are well run business that values its customers. When done right, those reading the replies will reach out to you. That is when you start your sales pitch. The general rule is to limit the length of the reply to less than the length of the online review. So, if the original feedback says something like “fantastic job!”, your ideal reply should be a “thank you” or “our pleasure”. On the other hand, a longer review requires a longer response. For instance, if a customer goes into details about something particular, respond by stating why that particular feature probably stood out to the customer. If there is some sort of specific effort that goes into that feature, make sure you provide a few details on that. You can typically start by saying “thank you”, and then gradually progress into why your product or service stands out. You can also include details about your brand’s culture and vision and describe how they play a role in setting you apart. Always make sure your responses are sincere. Sincerity is something that customers look for from the brands that they engage with. There are many ways to make sure your responses are not insincere. For example, don’t be focused on making a sale (see tip #3). When a customer appreciates your product or service, stick to the subject. Tell them that you value their feedback and that you look forward to doing business with them again. Another mistake to avoid is using “copy-paste” in your responses to your reviews. This comes off as being highly insincere, and also, lazy. Offer variation in your replies in order to build sincerity. Make sure your responses are personal. For example, if the customer provides his or her name, make sure you include that in your response, especially in the sections where you do have to address the customer. This falls in line with the whole sincerity aspect as well. Apart from adding personal details such as the customer’s name, make sure you also include details relevant to the feedback. For example, if the response is about your “customer service”, explain what strategies are used to make your customer services stand out. Talk about the things you do to provide such exemplary service. Never leave a long gap between feedback time and response time. Always monitor your reviews and make sure you respond as soon as possible. If you’re too late, you could have missed out on an opportunity to engage better. Or worse, you could ruin the reviewing customer’s opinion of you. When a customer sends out a positive online response, make sure you reinforce it. This means that you agree with them. You’re telling them that they’ve made a good decision by coming to you for solutions and answers. A positive review is an opportunity to do more for your customer. So, if a customer appreciates any aspects of your product or service, use the opportunity to inform them that there are other benefits they can obtain from the product or service. This will keep the customer informed and boost your credibility. You can also try digging a little deeper for referrals or other opportunities. But, don’t go overboard. In the end, remember that you are responding to a paying customer, in order to increase the likelihood they come back, while also looking to attract future customers. some, there may be a preference to partner to third party. The best and easiest to accomplish this is by using an online review management platform. Such tools simplify and streamline the process of obtaining more positive reviews, learn about your service failures (often without getting a negative review), monitor your progress and reply to reviews from a single tool. DON'T IGNORE YOUR POSITIVE REVIEWS, RESPOND TO THEM AS WELL. Not sure where to begin? Visit us at ReviewUsher.com and learn about how we help your business thrive and earn the 5-star reviews you deserve! ​It may seem like managing the online reviews of your business is an easy task. But this thought can be an illusion if not adhering to a few important best practices. There are a number of common,yet innocent, mistakes that can torpedo your efforts. Sending reviews at the wrong time or using the incorrect delivery method can drastically reduce your responses rates and success. This means fewer reviews to help your business shine. Nor will you receive the full local SEO benefits that are truly possible when a review system is properly implemented. But fear not. Here at ReviewUsher we have a few, easy to implement suggestions on how to avoid these mistakes and improve the performance of your efforts. 1. ONLY USING EMAIL. Don't get us wrong. There is a place for email in your review strategy. If you have a large email list or regularly collect email addresses, you should leverage that information to help build your online reputation. But if really want to have success you must utilize other mediums of delivery. As smart phones replace PC's as the worldwide primary source of digesting information, it also becomes a major tool for you to use in your strategy to collect more reviews. Text messages have an open rate of 99 percent. Now compare this to the open rate of approximately 23 percent for email. Use this to your advantage. Harness the power of smart phones in order to improve the rates your review invites are seen. Just as you have a process to collect the email addresses of your clients, create a similar process to collect and obtain permission to run text messages campaigns with your clients. And part of these campaigns, should be used to ask for and seek more online reviews. 2. SENDING INVITES EN MASS. While it is easier to send your reviews invites out in bulk, at the end of the month or week, this decreases effectiveness. Instead of sending all you requests out all at once, make each recipient feel like their invite is unique and important. The recipients will feel that their opinion and efforts are key to your success. We have found if you request feedback while your customers are still in your location, your odds of receiving it dramatically increase. They will feel a sense of obligation to fulfill the request. So find a way to build this option into your processes. If you are also utilizing the first strategy of using text messages, this becomes relatively simple to do. ​3. BUYING REVIEWS. While it may be tempting to use purchased reviews to throw some fuel on the fire, the risks greatly outweigh any temporary benefits you may experience. Instead of attempting to take shortcuts, invest your efforts into building processes to have long term success by earning your reviews the right way. Serve your customers the right way, and proactively ask for reviews. You will earn the reviews you desire. It will take more time, but the results are better. Remember that slow and steady nearly always wins. ​4. IGNORING NEGATIVE REVIEWS. Many negative reviews are completely ignored. There are many reasons why this occurs - time, fear, ignorance. But ultimately, that is not the best approach. Instead, take a moment and make sure you do not react out of anger or emotion. Acknowledge the complaint was received. Offer a solution. And know when to stop. If you want further guidance check out these more detailed suggestions on how to effectively manage negative reviews. 5. NOT FOCUSING ON THE CORRECT REVIEW SITES. One of the most common questions we receive is in regards to which review sites businesses should focus their efforts on. Spend some time reviewing how customers are finding your business. Do a search using the search terms of your business name and "reviews" and see what review sites your business are appearing on in the search results. Now do some research on which review sites rank well for your industry. For example, if you are a car dealership, do a search of "Car dealership reviews." Which review sites show up in the results? Take these two simple approaches to quickly learn which review you may want to initially focus on. Typically, most businesses should focus on Google and Facebook. Many will also focus on building Yelp reviews (and TripAdviser). But additionally, there are many industry specific review sites that should receive some effort. Sites such as DealerRater, AngiesList, or HealthGrades if you are a dealer, contractor, or medical firm. ​CONCLUSION. OKAY. THERE YOU GO. Now go get started. Not sure where to begin? Visit us at ReviewUsher.com and learn about how we help your business thrive and earn more reviews. ​Want to learn how your business reputation is doing? I think we all understand that building your online reviews are important to the health and success of your company. But many wonder about what is the best way to secure more reviews. Don't worry. We will highlight five simple tips to throw some fuel on your processes. 1. OFFER TOP SERVICE. Word-of-mouth referrals are only given by customers who receive great service. Receiving good reviews also requires great service. We all know the value of word-of-mouth referrals and we all work hard to receive them. But did you know that in the new economy, online reviews are nearly as valuable as word-of-mouth referrals? 2. SET EXPECTATION FOR THE REVIEW. One of the primary keys to improving the number of reviews received is to make sure that your employees inform your customers about the reviews. When your employees set the proper expectations, you will see improved response rates. ​3. REMOVE HURDLES. Once you have offered top-notch service and set the expectations that reviews are helpful and anticipated, you need to make it as easy as possible for customers to leave you reviews. Offer solutions and opportunities for customers to leave reviews on the platforms of your choosing. For example, if you are looking to build your presence on Facebook, make sure you share your company's page information and ask for the reviews. For some companies this process is more than they want to do. For those firms, you can look into accomplishing this by using a online review management platform such as ReviewUsher.com. These firms offer software solutions to streamline the process of building reviews on all the top review sites you care about. 4. USE TEXT MESSAGES TO SEND REVIEW INVITES. How many unread emails do you currently have in your inbox? Now think about how many unread text messages you have on your phone? 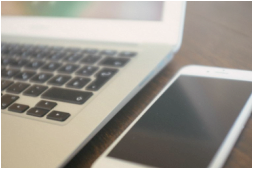 One study found text message open rates to be 98%, compared to only 22% for email marketing messages. Text messages are a powerful tool to increase your review rates. What does this mean for you? It means the best way to increase the number of reviews received is to send invites via text message. While there there is always concern that texts could be considered spam, if you have properly set the expectation with the customer that they will be receiving the invite via text, you need not worry. So regardless of if you are running your own review program, or using a third-party provider, make sure that you find a solution that supports sending invites via text message. 5. BE CONFIDENT. Do not be afraid to ask customers for reviews. While most customers research companies online before making purchases, very few actually leave reviews. Some of this is a lack of desire, but much of this is simply because they are never prompted to do so. Leaving a review is a very low pressure way to support local, small businesses. But companies just do not ask. Beat your competition by always asking for the review. THERE YOU GO. A few simple easy ways to help your company perform better. If you build your online reputation, you will see improved local SEO performance and increased business results. So don't delay. Put together a plan and get to work. Not sure where to begin? Start by checking out where you currently stand. Visit ReviewUsher.com and you can obtain a FREE Reputation Report. Just enter a few business details so we can ensure we pulling information on the correct firm, and you can get an instant report. While there you can also learn about how we help your business thrive and earn more reviews. If you are like me, you probably feel that if Google does one thing well it is to constantly evolve and change. This is great for people doing searches, as the most relevant items are sought. But running online marketing, it can be maddening trying to keep up with the changes to the algorithm. That said, there are some basic principals that stand the test of time when it comes to standing out with your local SEO efforts. This post will review three of these principals. As you refocus and ensure adherence to these basic principals, you may reap great rewards in your local Google SEO search rank. MAKE SURE YOUR BUSINESS IS LISTED IN BUSINESS DIRECTORIES. What is a business directory? It is any number of websites that aggregate business information for others to find. These sites allow users to find businesses based on search or other criteria. We all know Google serves as a directory, but there are hundreds of others as well. Why is this important? Do a search for any local small business on Google or Bing. You will probably find the company's webpage near the top. But along with the business' website, you will also find other results about the business from these directories. Sites such as MerchantCircle, YP.com, Yelp, or DealerRater. Now look to see if the contact and business information in these directories is all there. Often, you will find phone numbers or addresses missing. Having accurate, up-to-date information in all these directories can give you a major boost in local SEO performance. But most businesses never do this. Not sure where to start? Well, check out a list compiled by LocalVox of the Top 20 business directories in the US. Here are the top 10 site you should immediately focus on along with some links of where to do so. Additionally, you should ensure any industry specific directories are complete. Now what? You need to start by claiming or creating your business for each of these businesses. Review each listing and ensure the details are correct. If not, get to work! Make sure you add some descriptive text of your business using relevant keywords to help the search engines make a match. Add some images and photos of your business. Make sure your logo is up to date with high res. images. Add some flattering photos of your exterior and interior. We want customers to easily recognize your business when they jump in their car and head over. MAKE SURE YOU HAVE BUSINESS NAME, ADDRESS, AND PHONE NUMBER ARE SHOWN ACCURATELY AND CONSISTENTLY. Having signals such as name, address, and phone number (NAP) shown accurately and consistently across all sites is one of the most important factors in ranking well. If a search engine is unsure which pieces of contact information are accurate, should we really expect the search engine to promote it heavily? Make sure that you settle on consistent NAP information to share on your website and directories. BUILD YOUR ONLINE REVIEWS. Once a search engine can trust that your business information is accurate and authoritative in its field, then one other important factor it is going to look at is information from the outside to determine who a shopper is more likely to prefer. One of these factors is reviews. It is estimated that as much as8.4% of the overall ranking factors is determined by review quantity, velocity, diversity, etc. So one easy way to quickly climb in the rankings against your competitors is to improve your review performance. There are a number of ways to do this. Many companies can implement internal processes to build these reviews. While other companies rely on an online review management platform to achieve great results. THERE YOU GO. A few simple easy ways to build your companies local SEO presence by using online directories and reviews. Now it is time to get started. Don't delay! Put together a plan and get to work. Not sure where to begin? Start by checking out where you currently stand. Visit ReviewUsher.com and you can request a live demo or obtain a FREE Reputation Report. Just enter a few business details so we can ensure we pulling information on the correct firm, and you can get an instant report. While there you can also learn about how we help and start your FREE 30-day trial to help your business thrive and earn more reviews. Create a Reputation Report now! We all want to success on Google, even when we know it will be tough to achieve. But we shoot for this because we understand that ranking high in google search brings almost guaranteed success. If you are a small business owner, you probably know of a few of the benefits of reviews. They serve as user generated content to help your marketing efforts, improve customer perception of your firm, and increase sales. But you may not understand the incredible benefits that reviews provide to your local search engine optimization (SEO). In this post, I will run through a few reasons why reviews are so important to your business. In the end, paid ads have greater reach due to an increased effort to improve their results. All of this thereby means that organic results are affected negatively. So the only way to overcome this is to PAY MORE for paid ads, or PAY MORE to drive organic SEO results. But even focusing on improved organic SEO results may not get you the results you desire. Why is this? Check out the image below and you will see that the #1 ranking of an organic, traditional search result is technically in the eight position. As seen, unless you pay to get to the top, you end up WAY down the page. Except that is not completely true. There is one free way of pushing yourself higher on this page. There are a few ways reviews can help your performance. Let run through just a few of them. 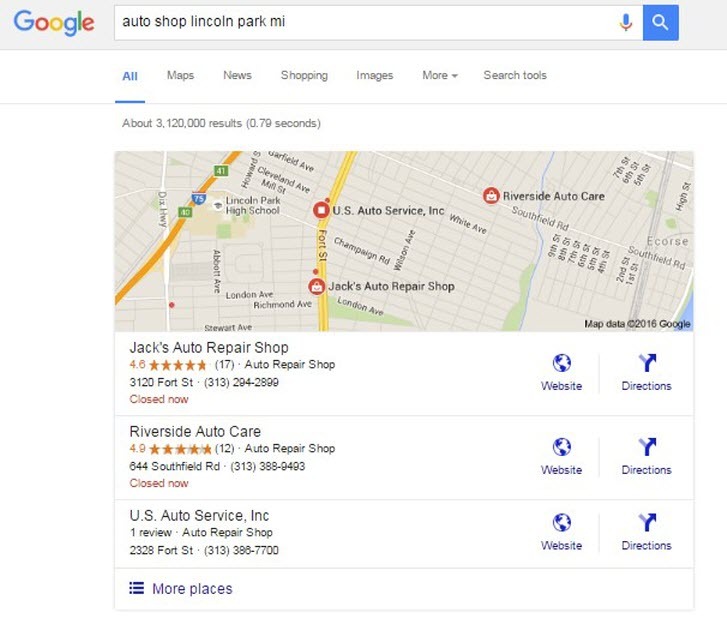 Use reviews to stand out in your text search results. You can easily include a reviews page on your website to communicate to Google the reviews you receive. When done properly, these results can be displayed directly on a Google search result for your business. This will help you stand out among your competitors and increase click through rates (CTR). Use reviews to boost placement in map results. Take a look at the screen shot below. Who are you going likely to visit if you are in the market for a mechanic? Most likely you answered Jack’s Auto Repair or Riverside. Why is that? They have better reviews than the other options. Google knows people prefer to buy form companies with strong review profiles. Which is why those business are the options shown at the top. And we can be certain that there are dozens of other shops that Google overlooked to display on this primary search page. 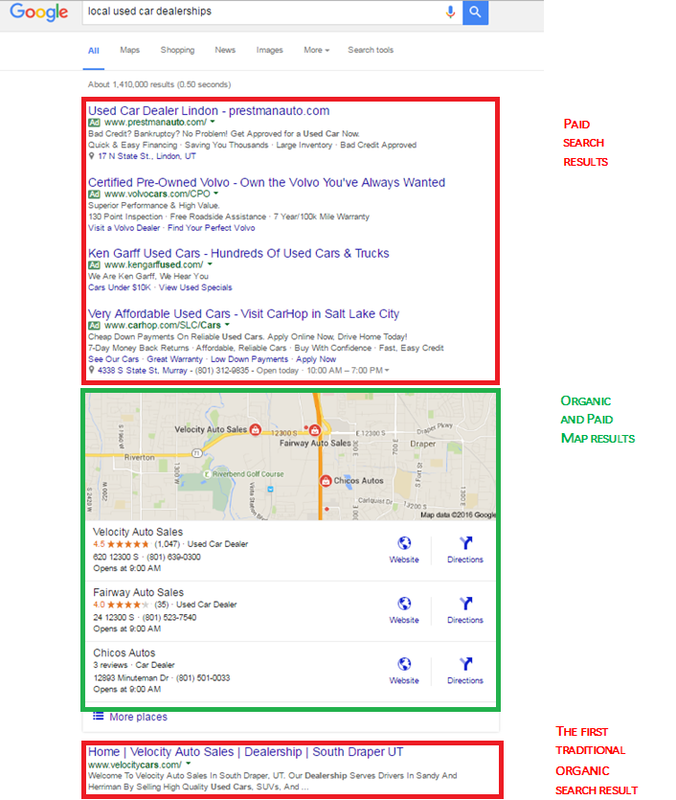 If you want to show up on google maps, and place highly, then you must build your reviews. It is important to demonstrate both quality and quantity in your reviews. Conclusion This can be done organically. All you need to do is to build a process. And once you start building a strong review process you will see measurable differences in your business. When reviews are displayed, you can cut your paid search budget because the ads you launch will have a higher CTR and better efficiency. You will find more customers. Once you have strong reviews it will be much easier for shoppers to find your business. The potential customer in your own backyard will see your business listing before your competition. ​Next Steps For some, this can be done pretty easily by investing a little time to create and implement some processes. For others, you may not have that time. For those businesses, we are here to help. ReviewUsher.com is a business built around helping businesses more easily build their online reviews through various processes which can easily be built into your normal business flows. You give lots of effort to building your business. But there is one simple way to expand your business that is often overlooked. How many positive reviews has your business received recently? Improved Local SEO performance. Local search engines place a high value on online reviews. They do this because they know consumer’s value reviews. So if you have great reviews, the search engines will reward you with improved organic search placement. Improve Your Operations. We all know that receiving negative feedback can hurt. But smart businesses take the feedback received online and use it to fix weaknesses and improve their business. And if you wonder how to do this effectively with negative online check out a previous post about 5 ways on how to handle negative reviews. So from helping you find more customers with improved trust and local SEO, to improving your operations, online reviews can help you shine. And if you wonder where you currently stand feel free to order a FREE REPUTATION REPORT. We all understand that reputation is important. Especially as a business. Especially online. And with the new economy being driven by online reviews, it may be tempting to build up your reviews by buying fake reviews. Do not do it! It doesn't matter if you doing it to add as many positive reviews as possible or simply looking to overcome the effects of a negative review. The outcome can be disastrous. Buying fake reviews is not a direction you should ever go. Here are three reasons why it is dangerous. Depending on how it is done, it may be illegal. You can ask customers to provide a review (in fact you should be doing this). And if it is disclosed, you can even offer incentives to customers for the reviews (have you ever seen how many of the Amazon product reviews have associated incentives - it is mind boggling). But you cannot pay for reviews. In fact, companies are regularly getting penalized large amounts of money for the practice. It not worth the risk. Oftentimes, the reason a company is tempted to do this is to overcome the effects of negative reviews. We understand the pain that negative reviews cause (especially when left by trolls!). But there is something that can create even more problems than a negative review - the lost trust if the public learns a company is buying positive reviews. Rather than buying positive reviews, create a strategy to build them the right way. It takes effort. But build business processes to capture the voice of the customer, and share it with the world. This is one of the most effective steps you can take to build your business. Build your profiles on the various online directories and social media sites. Then ask for the reviews. This may sound simplistic, but it is achievable. And if you are not sure where to start, reach out to one of our professionals and we can help you on the journey. At ReviewUsher, we have learned a lot about how to help businesses build their online reputation. But we came across something the other day that floored us. How long is this sustainable? How many ignored complaints will it take to sink your business? One study found that answering and responding to customer complaints increased customer advocacy nearly every time, in every channel! The opposite results are obtained when you ignore complaints. Simply by showing up and acknowledging their concerns, a business can increase the number of advocates for your business. This is critically important for small businesses. While you can't compete with the largest players in your industry with marketing dollars or cutting edge R&D, you can exceed their level of service. The most important aspect of addressing negative service is to ensure you show up. Do not allow yourself to be counted among those businesses who never respond to customer complaints. Commit today to respond to each opportunity. That alone will put you ahead of virtually every other business in the market. From there, try to do it quickly. One of the most important things you can do in a customer experience is to react quickly. LL Bean regularly ranks as one of the top customer service firms. And this is often due to the timeliness of their responses to customer issues. What good does it do to respond to negative reviews weeks late? Reach out promptly. Step 1 – Do not get emotional. This is especially true if you are a small business or it is an owner reaching out. We treat our businesses like our babies. Often, we get defensive when people are critical of our babies. Take the complaint of your business as an opportunity to better understand where you can make improvements. Step 2 – Reach out and personally acknowledge the customers complaint. In many cases, people simply want to vent and to be heard. By acknowledging that you have seen or heard their complaint, you may appease that person’s anger. Ideally, do this publicly. Demonstrate to your future customers that you care about their experience. Invite the individual to reach out to you work out a resolution. Step 3- Let them offer solutions. If the individual is still angry after you have allowed him/her to vent, ask them what can be done to appease the situation. In many cases, what they ask for may have less value that what you would initially throw out. If they want a free meal, offer it. If they do not feel the service fees charged are appropriate reduce or remove them. The $50 meal you will comp. has an actual cost to you of much less than that. The time spent providing the service, may have a high value. But the cost to lost future business due to a negative review can be staggering. And if they ask for something that is unreasonable, just state that unfortunately you cannot offer that much, but you can issue a counter-offer. Step 4 – Know when to stop. If a customer complains, you attempt to reconcile. If the customer complains again, try to reconcile again. But after two attempts, you must stop. There is no pleasing some people. After several attempts, if the customer is not satisfied, it is unlikely that they ever will be happy. You have demonstrated to the public (assuming this has occurred on a public review site) that you care about your customers. After several attempts, it is the customer who begins to look bad due to his or her persistent complaints. Additionally, you do not want this to become a 10-round boxing match fought in the public square. If the negativity remains after two attempts, let it be. The odds are that even if you fix the situation, the customer may still not adjust the negative review. The damage is done, and move on to the next situation. Step 5- Reap the rewards of positivity. Ideally, you have turned an unhappy customer into a happy one, signaled to all your potential customers that you care deeply about service, and planted the seeds to create multiple advocates spewing word-of-mouth referrals regularly. It can be easier said than done to face the flaws in your business, receive criticism, and attempt to rectify it, but it is worth it. By increasing repeat customers by just 5%, research has shown that profits can increase by as much as 85%. Good luck and if you ever need help, please reach out to ReviewUsher! We are here to help and offer assistance in building your online reputation. Curious about what your reputation looks like online, we offer a free scan of your online presence through our FREE Reputation Report. It takes just a few seconds to get yours.